Thankfully, we live in a very generous community, full of people who don’t hesitate to go out of their way to lend a helping hand. As news of the devastating earthquake in Japan and the resulting tsunami continues to develop, rescue and aid services are sure to rush in. Unfortunately, that usually means criminals are not far behind. If you want to donate money to help victims of this, or any disaster, please make sure you do a little homework first so you don’t become a victim of a scam. Before you give anyone any money, make sure you are 100% confident you know who you are giving the money to and what they will do with it. You can start by researching companies online, but don’t stop there. Make phone calls, or better yet, find a local chapter for your charity of choice and stop in to hand over your donation. There are a lot of great charities out there doing great work. Make sure that you are connected with a legitimate charity or organization so that your money doesn’t end up in a scammer’s hands. Community Alerts sent to 964 people Tuesday night provided those people with important information regarding a power outage that hit large sections of Grand Junction. Those receiving the alerts were not only notified the power was out, but were also updated when the power was restored. Community Alerts are broken into five categories: power outages, traffic alerts, road closures, school closures, and prescribed burns and wildfires. 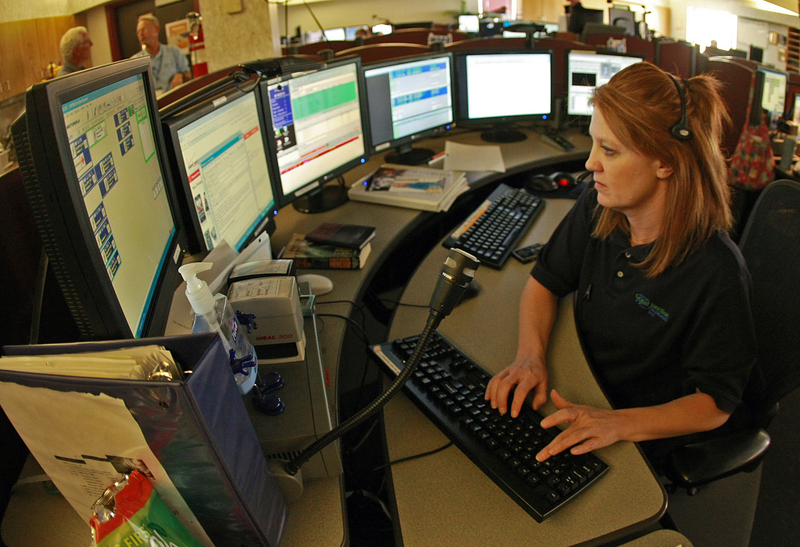 They are also separate from Emergency Alerts made through our 911 Communications Center. You must sign up to receive Community Alerts, and by doing so you can choose which categories you want included for your alerts and how you want to receive the alerts. For example, Community Alerts can call your cell, work, or home phones, or send you a text or email message. There’s a bonus too. The contact information you enter when you sign up for Community Alerts automatically gets included in our Emergency Alerts system. There is a reason why that is very important; when there is an emergency in your neighborhood the only way we can notify you is through a traditional landline phone unless you have provided us with additional contact information. That means even if you do not have a traditional landline phone in your home but you have provided a cell phone number for Community Alerts, for example, we would still be able to notify you if there is an emergency happening near your house by calling your cell phone. The Grand Junction Police Department needs your help in identifying the suspect(s) involved in vandalizing the dormitories under construction at 1280 Cannell Avenue. Sometime between 12:00am Sunday February 6th, and 9:00am Monday February 7th, unknown suspect(s) entered the building under construction and sprayed graffiti on the walls, shower enclosures and discharged multiple fire extinguishers. If you have information that would help solve this or any other crime, please contact Crime Stoppers at 241-7867. Information leading to an arrest can earn you up to $1,000 cash reward and you will remain completely anonymous. For more information on how to report a crime see us at www.241stop.com. There has been quite a bit of news coverage over the last couple of days regarding two unattended death investigations we’ve handled. An unattended death is simply an instance in which a person dies and there is no one around that can provide information about how or why the person died. A number of things, from natural causes to murders, can cause unattended deaths. Because we don’t know the circumstances surrounding the death (the who, what, how, and why) we often assign detectives to work the case until we have more information. That’s exactly what happened in the two most recent cases. In these cases the autopsy reports provide us with many of the answers we need. Here are the two news releases regarding the two unattended deaths we investigated this week. They provide a lot of information that will hopefully answer many of your questions about what happened leading up to these deaths. The Grand Junction Police and Fire Departments are now accepting applications for the Spring 2011 Academy. From March 10 through June 11, this 14 week Academy will present aspects of police, fire, EMS (Emergency Medical Services) and 911 communications generally not known to the public. It will also provide insight on how public safety employees make decisions, perform their duties and serve you – our community. Education is the key to developing strong community and citizen partnerships. An involved community working positively with public safety is an important part of the solution to keep our citizens safe. Class size is limited and the spaces are filling quickly. For more information call Mike Page at 244-1413 or Terri Gird at 244-3575. The Grand Junction Police Department needs the public’s help to identify and locate the suspect that robbed Gil’s Video Mex Imports at gun point. On Sunday, January 23 at about 9:30pm a male subject walked into Gil’s Video Mex Imports located at 2854 North Avenue. The male subject brandished a handgun and demanded money from the clerk. The subject was described as 5’8″ to 5’10″, wearing a black ski mask, a dark blue hooded jacket, blue jeans and black gloves.The suspect fled the scene in an unknown direction.If you have any information on this crime or any other crimes, please contact Crime Stoppers at 241-7867. Information leading to an arrest can earn you up to $1000 cash reward and you will remain completely anonymous. For more information on how to report a crime see us at www.241STOP.com.